They come in all shapes, sizes and colors. The nested cats have an irresistible mouse in the center. 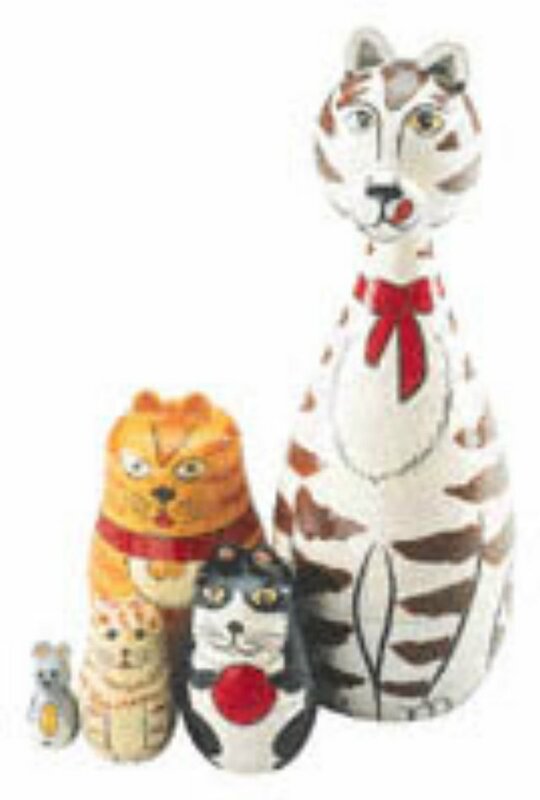 Tallest cat measures 7" tall.